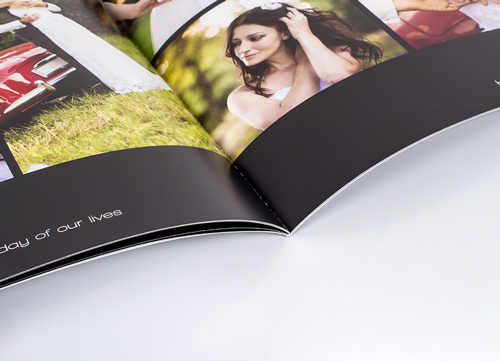 When creating a Photo Book you can choose to personalise your cover with a nice photo which fits the mood of your book. 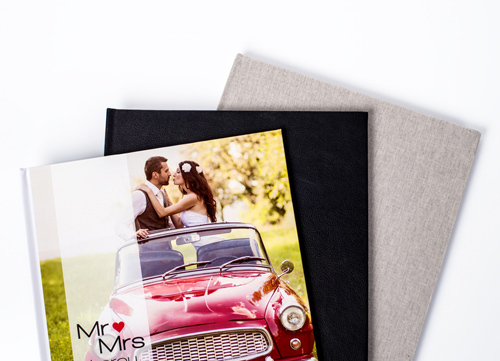 You can also choose one of our stylish design covers made of black leather or natural linen. 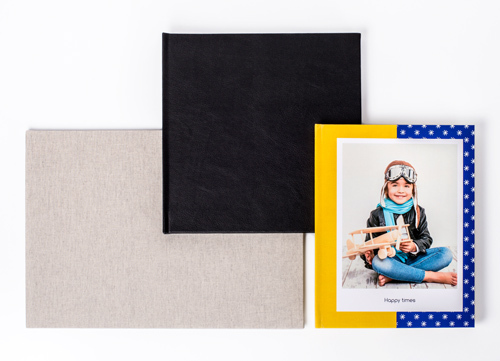 Medium Photo Books are only available with a personalised cover. The leather and linen covers are both sturdy hard covers of great quality. 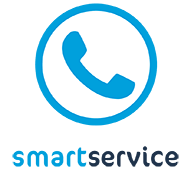 However, if you want to create a personalised cover you can choose between either a hard cover or a soft cover. 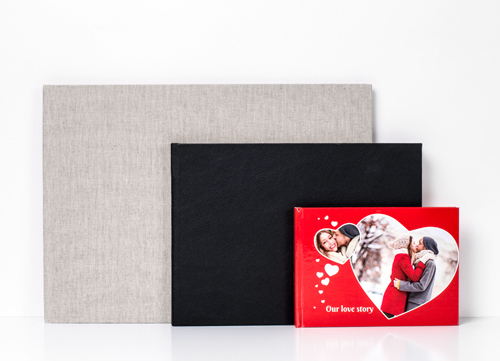 Extra Large Photo Books are only available with a hard cover. 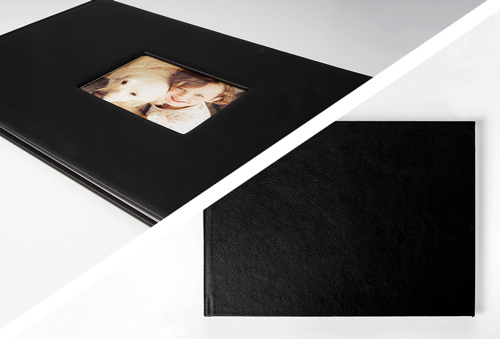 All our hard cover Photo Books (including personalised, leather and linen covers) automatically have a Lay Flat binding. Both sides of the book are completely flat so the pages do not turn over automatically. 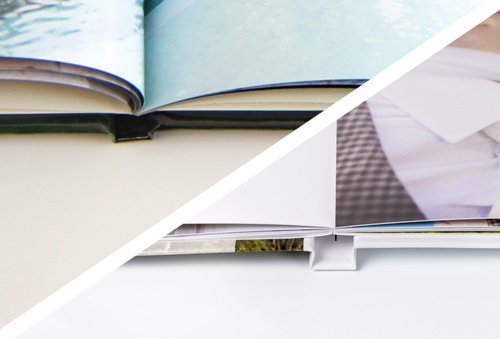 This binding makes it really easy to browse your Photo Book. 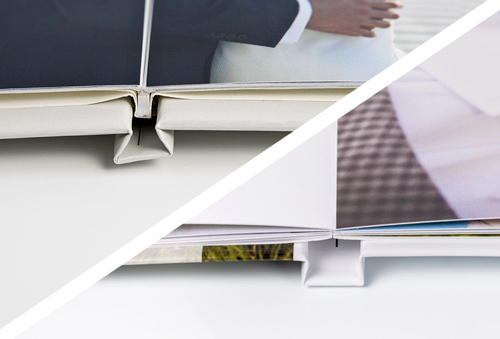 On top of that the Lay Flat binding is ideal for your panoramic photos which spread out over the left and right page. 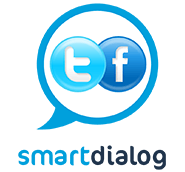 Our Soft Cover books are available with a Standard binding. The pages and cover are properly glued together to give the book its sustainable quality. Our Soft Cover books are also available with a Wire-o binding. 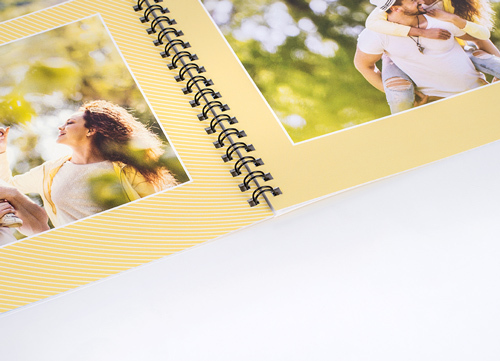 This spiral binding makes it very easy to flip the pages of your Photo Book. The new Hard Cover Photo Books all have a better quality Lay Flat Binding. 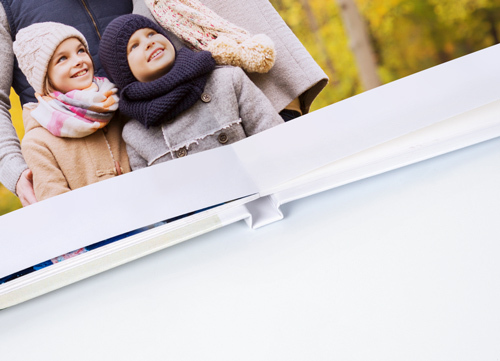 This binding is excellent for panoramic photos in your book which spread out over two pages. 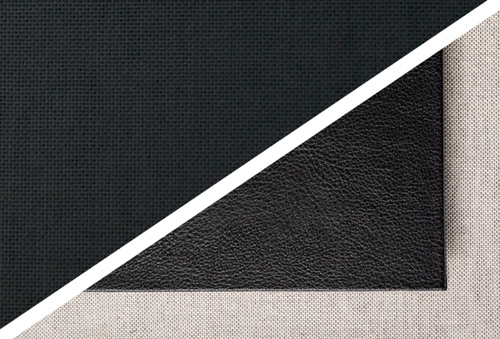 Our Design Covers are restyled and now we have two beautiful covers available: Black Leather and Natural Linen. This unfortunately means the White Circle Design Cover and the White Stripes Design are no longer available. 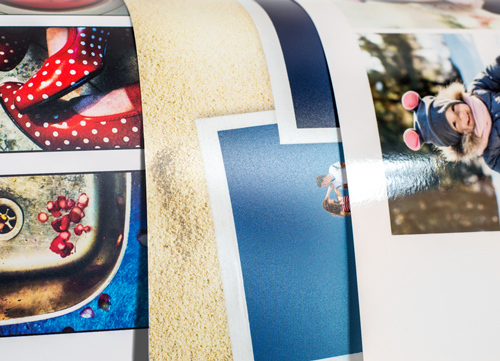 It’s no longer possible to order a Cover with a Cut-out for your Photo Book. On the other hand there are covers available in Leather and Linen. You can also choose to personalise your cover with a nice photo. 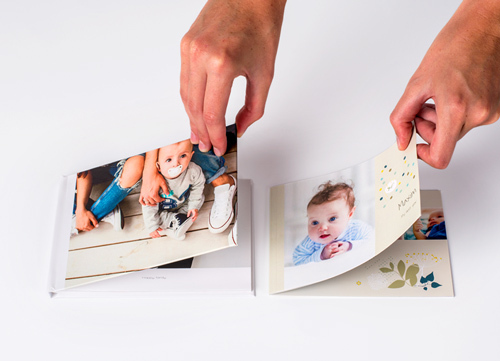 The Hard Cover Photo Books are automatically created with a high quality Lay Flat binding, so a Standard Binding is no longer available for these books. 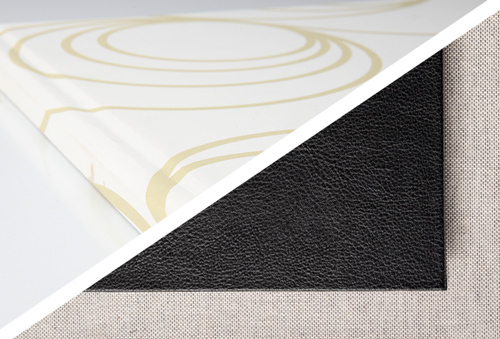 Our Design Covers are restyled and now we have two beautiful covers available: Black Leather and Natural Linen. This unfortunately means the Black Linen Design Cover is no longer available. Covers with foam are no longer available. 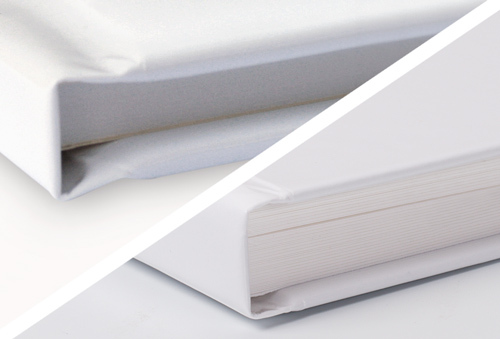 You can either choose a high quality hard or soft cover.